The culture behind the Purdue Master’s programs is derived from a student body of diverse, diligent scholars. Our students know how to get the job done at any cost, and aren’t afraid to get their hands dirty. Our students become polished by experiential learning, relentlessly exercising the skills in which they have the most room to improve. Our culture promotes quantitative reasoning with a sharp eye for quality; Boilermakers are bold enough to know they’ll be the next generation of global leaders. Whether you’re in West Lafayette, Indiana or across the globe, you can access Purdue news and information. Get mobile with the Purdue University Application! 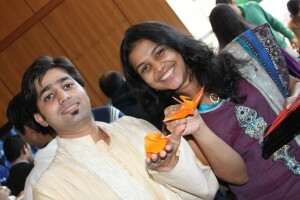 Culture Fest is a celebration of our diversity as fellow Boilermakers learn classmates’ cultures and customs. Students take part in the talent show as it showcases performances from across the world.